Why underestimate the role that entertainment plays in your life? At MGM Resorts we believe that entertainment is a fundamental human need. 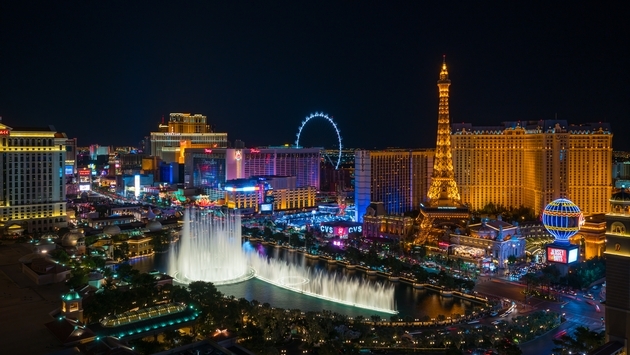 Look no further than Las Vegas to see the biggest headliners and performers in the world and the hottest names in comedy; we have you covered for the best in entertainment. Whether you have a taste for casual dining or plan to dine at one of our celebrity chef restaurants, allow us to introduce the best in Las Vegas dining. Discover why we are the world’s leading producer of OMG. Check out the exciting events going down this month. Don't miss Phish taking the stage for multiple nights at Grand Garden Arena on November 1-3. Cher returns to the Park Theater with selected dates from November 2-17. Postmodern Jukebox, will perform at the Terry Fator Theatre on November 2-5; 8-9; and 11. Don’t miss Reggaeton and Latin singer Ozuna who is stopping by Mandalay Bay Events Center on November 16. Boyz II Men will bring unstoppable energy and an East Coast Philly swing to The Mirage on November 16-18. At T-Mobile, iconic rock bands, Metallica performs on November 26 and Fleetwood Max on November 30. Watch the world's top riders and bucking bulls go head-to-head in the Professional Bull Riders' World Finals at the T-Mobile on November 7-11. This 5-day event is part of PBR Finals Week, and features action-packed bull riding, plus live concerts, pre-event fan zones, after parties, rider autograph sessions and more! Stop by Coyote Ugly for the after party on Friday, November 9 from 10 p.m. -3 p.m. and get autographs from some of the bull riders! Come watch the Vegas Golden Knights professional hockey team take on Anaheim, St. Louis, Calgary, and San Jose this month. College basketball returns to T-Mobile Arena at the MGM Resorts Main Event that tips off on November 19 & 21. Come see St. Mary vs Utah State and Arizona State vs. Mississippi State in this event. Cedric The Entertainer, Eddie Griffin, D.L. Hughley and George Lopez will come together for the comedy event of the year, “The Comedy Get Down”, at Mandalay Bay Events Center on Friday, November 23. Come see the biggest names in comedy at The Mirage’s Aces of Comedy. This month, Aces of Comedy features funnymen Tim Allen, Daniel Tosh, David Spade & Ray Romano and Gabriel Iglesias. King Arthur cordially invites all to eat, drink and be merry this holiday season with the return of “Tournament of Kings: ‘Twas the Knight” November 21 through December 27 inside Excalibur Hotel & Casino. The Tournament of Kings Arena will magically transform into a winter wonderland and is the ultimate holiday dinner show experience. Knights will ride, charge and joust their way to victory, while you cheer on your country’s hero and indulge in a celebratory three-course feast! Thanksgiving Menus Have Thanksgiving at the Pub at Nine Fine Irishmen at New York-New York who will provide a Thanksgiving menu featuring a three-course meal with Pumpkin Pie for dessert. At the ARIA, Thanksgiving menus will be available at Bardot Brasserie, Jean Georges Steakhouse, ARIA Café, Lemongrass, Julian Serrano, Sage, Herringbone, and The Buffet at ARIA. If staying at Excalibur around the holiday, make reservations at Camelot Steakhouse that includes Thanksgiving favorites Andouille & Chestnut Baguette Stuffing and Green Bean Casserole. If staying closer to the middle of The Strip, Tom Colicchio's Heritage Steak and Stack are also serving delicious Thanksgiving menus.